The Biomedical Research Center (BRIC) at WSSU was established in 1996 through funding from the National Center for Minority Health and Health Disparities (NCMHD), National Institutes of Health (NIH). As a result of this funding mechanism, WSSU is considered one of the original Research Infrastructure in Minority Institutions (RIMI) that was awarded the RIMI grant for the 2nd consecutive cycle. The initial funding was granted by National Center for Research Resources (NCRR)-NIH and under the Directorship of Dr. Wilveria Bass Atkinson, was used to build the biomedical research infrastructure at WSSU. The mission of BRIC is to establish a sustainable augmentation of institutional biomedical research capability at WSSU and to increase institutional research productivity with particular emphasis on research areas relevant to improving health in minority and underserved populations. Consistent with the objectives of the RIMI Grant and the NCMHD initiatives, BRIC seeks to provide a research infrastructure to developing and leading scientists at minority institutions directly serving vulnerable multicultural populations to facilitate the development of scientifically rigorous, culturally appropriate medical innovations in settings where disparities persist. The purpose guiding BRIC's activities is to become a regional or national research resource for eliminating health disparities by creating a critical mass of well trained research scientists engaged in biomedical and behavioral research at the University, and increasing the quality and quantity of funded health disparities research projects conducted at WSSU. BRIC will leverage its strong interdisciplinary research capacity, community ties, relationships with established research institutions, and collaborative relationships with emerging minority research institutions to accomplish its purpose. The broad and long term goal of the WSSU BRIC is to foster collaborative, multidisciplinary research and apply novel research strategies to improve health outcomes and reduce of health disparities among vulnerable populations and underserved communities. 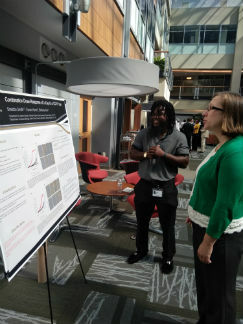 Provide intensive student development programs provide research opportunities with productive teacher-scholars who are interested in and committed to mentoring promising students in research. 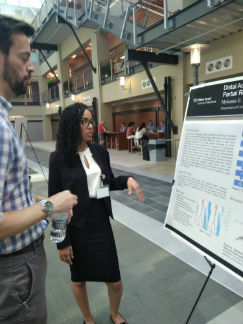 Increase the number of WSSU students who are well-prepared academically and experienced in research to be competitive to gain admission into top graduate programs leading to the Ph.D. or M.D. / Ph.D. in biomedical and behavioral sciences. Foster a long term commitment in students to pursue a career in the biomedical and behavioral sciences through an experience that exemplifies the excitement and challenges of relevant scientific investigation. 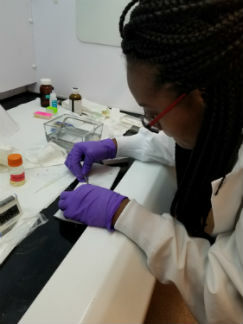 Since its inception, BRIC has sought to facilitate and expand biomedical research at WSSU by strengthening the research infrastructure of the institution and providing an environment conducive to the discovery and dissemination of knowledge, and the professional growth of its faculty. Under the current director, Dr. Manju Bhat, the core faculty is comprised of 11 Ph.D. researchers with approximately 4 staff members working in various capacities. The center has developed professional relationships with more than 6 other faculty Affiliated Scientists from Wake Forest University School of Medicine. A BRIC/RIMI Advisory Board and an External Scientific Review Board was established in 1996 to serve as the guiding force for the Center. BRIC, through collaborative efforts with nearby institutions, has become the focal point of diabetes, hypertension/cardiovascular diseases, alcoholism/sleep disorders, and drug addiction research that addresses the biomedical and health issues of the minority population. The BRIC will continue to have a positive impact on the number of faculty and students participating in biomedical research, and serve as a major point of entry for underrepresented scientists for participation in the biomedical advances of the nation in the 21st century and beyond. Aim 1: To build institutional research infrastructure by conducting original and innovative biomedical research aimed at improving minority health and eliminating health disparities at WSSU through recruitment of a critical mass of investigators and technical personnel. Aim 2: To strengthen faculty research and the capacity for research training by renovating and equipping laboratories in a basic research facility shared with its collaborators; creating faculty incentives for developing and executing research proposals; and establishing scientific working groups, especially related to research improving minority health and eliminating disparities. Aim 3: To prepare students for careers in research. The aim is to increase the pool of minority students who are technically and academically prepared to compete for entry into Ph.D. programs in biomedical or health sciences. Aim 4: To advance WSSU's institutional goal of establishing the successful, functional, research-training environment necessary to seek authorization from the UNC System to plan, develop and fund a Ph.D. program in biomedical sciences. conducting independent research that is positioned to receive independent R01 funding support. 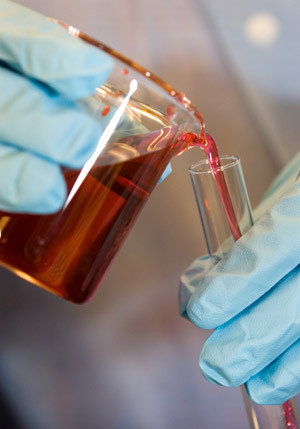 BRIC provides laboratory space and start-up funds for pilot project and new research activities, faculty development opportunities, support for attending and presenting at professional conferences and facilitate research collaborations between WSSU faculty and faculty at other universities in support of WSSU faculty research endeavors. WSSU faculty interested in affiliating with BRIC must meet the criteria identified previously in Research Activities section. 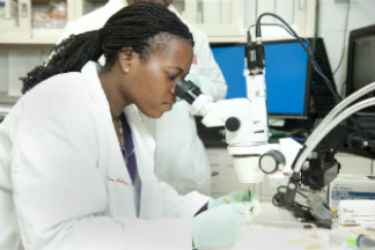 The progress of each WSSU researcher, with regard to research productivity, intramural collaboration, commitment of the investigators to ensure WSSU students with research exposure, peer-reviewed publications, extramural funding will be reviewed annually for continued alignment with the strategic goals of WSSU and the overall mission of BRIC. To maintain the integrity of the goals and specific aims of the center, BRIC will be unable to provide laboratory space, research project funding or travel support for research investigators who are unable to meet the productivity criteria for success within two years of initial support.